We are one of the distinguished manufacturers and exporters of a quality range of size reduction equipments such as pulverizers and crushers. These are known for their high performance, low maintenance and easy operation. 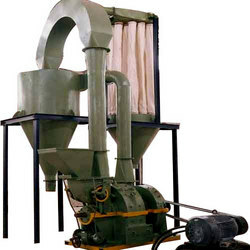 We are one of the well known manufacturers and exporters of a wide range of size reduction equipments such as pulverizers, crushers. These are designed using superior quality raw material and are known for its sturdy construction, compact design, low maintenance and hassle free operation.